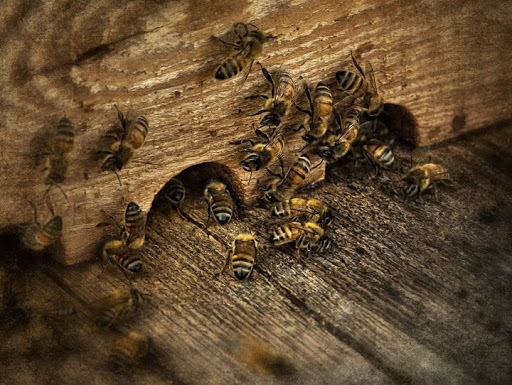 Bees have been under a lot of pressure over the past few years, and their numbers have dropped, but they are beginning to make a comeback in our area. 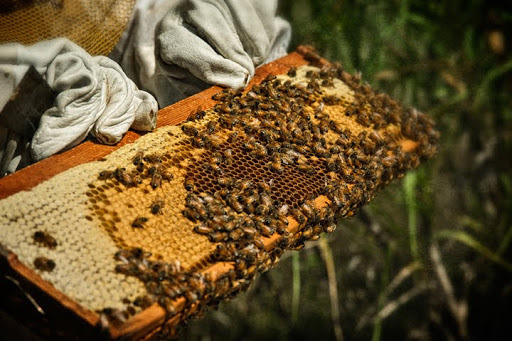 More people are keeping hives for honey and to help pollinate their gardens. 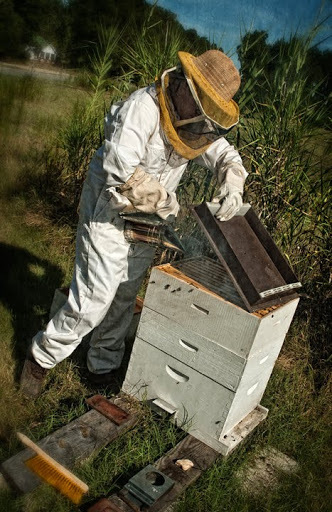 My son Tristan checks his hive at our home in Grays Chapel, North Carolina, and the bees are starting to fill out the racks with honey. Tristan’s hive is a commercial type. 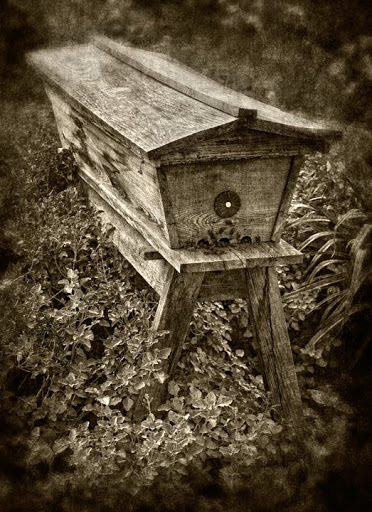 Below, an older style top bar hive stands in the garden at Goat Lady Dairy.